This pattern was updated on Nov 6th 2017. I changed the shaping and made it much bigger. 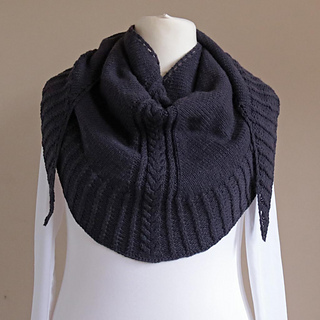 There is also a bonus cowl pattern included. 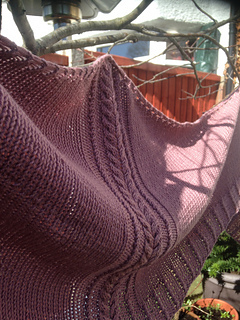 This is my first shawl design and was born from visits and adventures with my family at Hadrian’s Wall. The Wall began construction in AD122 and marked the end of the Romans conquest of Britain. Nearly 2000 years later a startling array of ancient buildings remain to visit, set in some of the most beautiful scenery you can imagine. 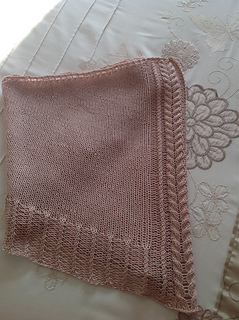 I wanted to create a shawl that would keep me warm as we explore the wilds on our Roman adventures. Messalina was the third wife of the Roman Emperor Nero. He ruled the vast Roman Empire as their newly conquered province of Britannia began to develop. 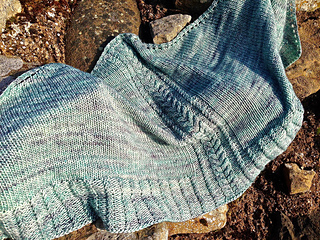 The cable running through the shawl signifies Hadrian’s Wall, and the twisted ribbing is the soldiers who manned it. The two side panels represent the land that lay beyond. 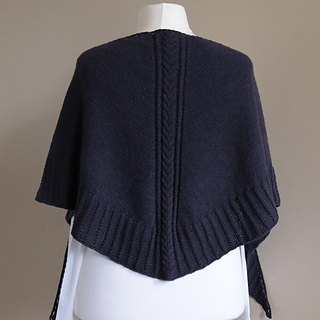 Messalina is a crescent shaped shawl, worked from the top down. 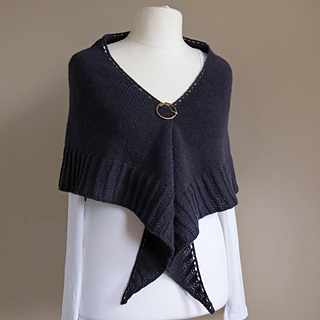 The pattern includes instructions for both a stocking stitch and garter stitch option, and looks good on both women and men. 24 March 2015 - small errata. On row 1 of the pattern set up, it should state (wrong side) not (right side). This doesn’t effect the pattern in any way however.